After gainful ratings for its first two episodes, Fox’s The Passage ran into viewer resistance Monday night. The sci-fi series fell to fourth place at 8 p.m. with 133,557 total D-FW viewers, markedly down from 217,908 the previous week. It also dug a valley between Fox’s preceding The Resident (196,820) and Fox4’s 9 p.m. local newscast (a time slot winner with an identical 196,820 viewers). Among advertiser-prized 18-to-49-year-olds, The Passage fell hard from 72,461 viewers the previous Monday to 45,288. In the 8 p.m. hour, that was good enough to outdraw only CBS’ Magnum, P.I. (15,096), which nonetheless was renewed earlier this week for a second season. Monday’s top overall prime-time draw, NBC’s America’s Got Talent: The Champions, dominated with 295,231 total viewers from 7 to 9 p.m. before the Peacock’s Manifest plunged to fourth place at 9 p.m. with well less than half that crowd (119,498). AGT also led all programming among 18-to-49ers, with 81,518. WFAA8 swept the 10 p.m. races in total viewers and with 25-to-54-year-olds (main advertiser target audience for news programming). Fox4 again ran the table at 6 a.m. and also had the most 25-to-54-year-olds at both 5 and 6 p.m. The total viewer golds went to NBC5 at 5 p.m. and CBS11 at 6 p.m. Note to readers: Some may have noticed that as of Monday, TEGNA8 is now being tagged WFAA8 in these spaces. The station is still owned corporately from afar by TEGNA. But the homogenized color-coded graphics on newscasts have been dropped, as have those big block TEGNA letters at the end of each newscast. Fair is fair, and the station visually at least seems to have been given a little more autonomy of late. Fox4, NBC5 and CBS11 all brand themselves that way, and those tags will continue. As is WFAA, they’re all also owned from afar by their corporate parents. WFAA is the only station among them that still wants to be known by its call letters. As of this week, that’s the way it will be again. This has been a totally voluntary move on the part of unclebarky.com. It’s not aimed at thawing relations with current WFAA8 management. Some things aren’t likely to ever change. It’s mostly laughed off as flag football in helmets and pads. Even so, the AFC’s 26-7 throttling of the NFC in the NFL’s latest Pro Bowl racked up decent-sized numbers Sunday afternoon. Airing from 2 until shortly before 5 p.m. on ABC and ESPN, the game drew 189,791 D-FW viewers on the broadcast network and added another 35,147 on cable for a total of 224,938. Among all programs, only CBS’ 60 Minutes did better with 231,967 viewers. Fox’s three-hour prime-time telecast of Rent failed to pay off for its landlord, luring just 84,352 viewers. Among advertiser-coveted 18-to-49-year-olds, the Pro Bowl easily led all Sunday attractions with a total of 87,557 viewers. Rent had 45,288 viewers in this key demographic, good enough for a first-place tie with ABC’s America’s Funniest Videos from 7 to 8 p.m. ABC’s Shark Tank won from 8 to 9 p.m. before the final hour of Rent took the top spot. Of 60 Minutes’ 231,967 total viewers, a teeny 4,528 were of the 18-to-49 persuasion. Holy Methuselah. Friday’s prime-time pacesetters were Fox4’s local 9 p.m. newscast in total viewers (147,615) and CBS’ 7 p.m. hour of Big Brother: Celebrity Edition with 18-to-49ers (42,269). CBS11 won at 10 p.m. in total viewers while Fox4 ran first with 25-to-54-year-olds (main advertiser target audience for news programming). Fox4 once again swept the 6 a.m. competitions, but WFAA8 made it closer than usual in the 25-to-54-year-old demographic. 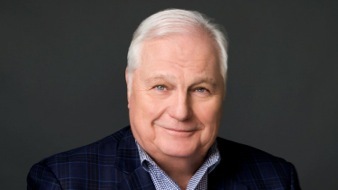 NBC5 had twin wins at 5 p.m., as did WFAA8 at 6 p.m.
TEGNA8’s Dale Hansen, dean of D-FW sports anchors, is getting an honor that might be even bigger than his 2014 appearance on Ellen. At its 29th annual First Amendment awards on March 13th, the Radio Television Digital News Foundation (formerly the Radio-Television News Directors Association) will present its Lifetime Achievement Award to Hansen. He is the first local journalist to receive the award, which was inaugurated in 2012. His appearance on the Ellen DeGeneres show was tied to Hansen’s commentary in support of NFL hopeful Michael Sam, who would have been the NFL’s first openly gay player. “What an amazing man he is,” she said of Hansen, who received a standing ovation. Sams was drafted by the then St. Louis Rams and also spent some time on the Dallas Cowboys practice squad. But he never made an NFL roster and later played in the Canadian Football League. The RTDNF’s Lifetime Achievement Award dates to 2012, when the late Andy Rooney was the first recipient. After skipping a year, the organization re-instituted the award in 2014. Recipients since that time have been Bill Plante, the late Bob Simon, Tom Brokaw, Nina Totenberg and Robin Roberts. Hansen said that his station’s corporate owner, TEGNA, Inc., has stepped in to pay for a pricey table at the upcoming RTDNF ceremony. His guest of honor will be Danny Livingston, who gave Hansen his first TV job back in 1977 at Omaha, Nebraska’s KMTV-TV. Livingston’s career advice and mentoring have been indispensable to him, Hansen said. They included a tip to “go down there and cover the kids” when Hansen first arrived in Dallas for what proved to be a short stint as the featured sports anchor at KDFW-TV (Channel 4), now branded as Fox4. Hansen said he took the advice and became the first D-FW sports anchor to include high school football highlights in his Friday night sportscasts. Now they all do it. The RTDNF also cited Hansen’s 1987 George Foster Peabody and DuPont-Columbia awards for his part in an investigation of the SMU football program. The end result was a lengthy “death penalty” for the university. The 70-year-old Hansen’s latest contract with TEGNA8 takes him through 2020. There’s still some life left, although NBC’s This Is Us is no longer Tuesday night’s dominant life form. A new 8 p.m. episode still did well enough to lead all prime-time programming in both total viewers (224,938) and with advertiser-craved 18-to-49-year-olds (69,442). CBS’ 9 p.m. hour of NCIS: Los Angeles ranked a close second in total viewers (217,908) while NBC’s Ellen’s Game of Games took the silver among 18-to-49ers with 63,403. Also of note: CBS’ 6:30 p.m. edition of Wheel of Fortune led all programming for the entire day with 309,289 total viewers. Oldsters Pat and Vanna also bludgeoned the competing three entertainment rag mags in the 18-to-49 demographic. TEGNA8 coughed up Wheel in 2005 because it supposedly skewed too old. CBS11 has been profiting ever since. Fox4 once again ran the table at 6 a.m. and also had the most 25-to-54-year-olds at 5 and 6 p.m.
NBC5 ranked No. 1 in total viewers at 5 p.m. and TEGNA8 won in that measurement at 6 p.m.
ABC, CBS, Fox and NBC all claimed at least one ratings trophy Monday on the most hotly contested night of the week. Let’s play the numbers game. NBC’s America’s Got Talent: The Champions took the 7 to 9 p.m. slot in total D-FW viewers with 260,084. But the second episode of Fox’s 8 p.m. The Passage stayed strong with a solid second place showing (217,908 total viewers). CBS’ Bull then moved to the top spot at 9 p.m. with 231,967 total viewers. The network’s 7 p.m. second season premiere of Big Brother: Celebrity Edition, featuring “house guest” Anthony “The Mooch” Scaramucci, drew 133,557 viewers to run last in its time slot among the Big Four broadcast networks. Among advertiser-craved 18-to-49-year-olds, the first hour of ABC’s The Bachelor won from 7 to 8 p.m. with 69,442 viewers while BB moved up to second place (60,384). From 8 to 9 p.m., The Bachelor and Fox’s The Passage tied for first with 72,461 viewers apiece. The 9 p.m. win with 18-to-49ers went to ABC’s The Good Doctor (54,346 viewers), with Fox4’s competing local news a close second (48,307). CBS’ Magnum, P.I. reboot continued to make a case for its cancelation with a distant fourth-place finish at 8 p.m. in the 18-to-49 age range (21,134 viewers). NBC’s 9 p.m. return of Manifest also slumped badly in this key demographic, luring just 18,115 viewers in this key demographic. CBS11 took a Martin Luther King holiday exemption at 10 p.m., depriving itself of what would have been a win in total viewers. The three competing local news stations played for keeps, with Fox4 running first in both total viewers and with 25-to-54-year-olds (main advertiser target audience for news programming). Fox4 swept the 6 a.m. competitions and NBC5 did likewise at 6 p.m. The 5 p.m. golds went to the Peacock in total viewers and Fox4 among 25-to-54-year-olds. This season’s Exhibit A continues to be Fox’s The Masked Singer, which is still going amazingly strong. OK, let’s relent a bit and just call it the ultimate brain cell-decaying guilty pleasure. Wednesday’s Episode 3, in which Terry Bradshaw got exposed, led all prime-time fare in both total D-FW viewers (267,113) and with advertiser-coveted 18-to-49-year-olds (81,518). Fox4’s following 9 p.m. local newscast then sopped up the lead-in gravy with comfy wins in both ratings measurements. Let’s fast-forward to Thursday night, where CBS’ comedy combo of The Big Bang Theory and Young Sheldon continued to pace the total viewer Nielsens with respective counts of 337,406 and 323,348. Big Bang also led all programming among 18-to-49ers with 66,422 before the second half of ABC’s ever-resilient Grey’s Anatomy outdrew Young Sheldon. Tuesday’s prime-time parade as usual was paced in total viewers by CBS’ NCIS (351,465) before the network’s FBI and NCIS: New Orleans also won their time slots. Among 18-to-49-year-olds, the 7 to 10 p.m. victors were NBC’s Ellen’s Game of Games (39,250), the Peacock’s This Is Us (72,461) and Fox4’s 9 p.m. news (57,365). The 8 p.m. premiere of The CW’s Roswell, New Mexico had 42,176 total viewers and 18,115 in the 18-to-49 age range. Here are the local news derby results for Tuesday-Thursday. Tuesday -- CBS11 won at 10 p.m. in total viewers for the fourth straight weekday while TEGNA8 nipped Fox4 for the No. 1 slot among 25-to-54-year-olds (main advertiser target audience for news programming). Fox4 again easily swept the 6 a.m. competitions while the 7 to 10 a.m. portion of the station’s Good Day continued to dominate network programming and TEGNA8’s homegrown Good Morning Texas. Fox4 also won at 5 and 6 p.m. with 25-to-54-year-olds. The total viewer golds went to NBC5 at 5 p.m. and TEGNA8 at 6 p.m.
Wednesday -- Fox4 ended CBS11’s 10 p.m. winning streak in total viewers and also won with 25-to-54-year-olds. Fox4 rolled to another 6 a.m. sweep and again had the most 25-to-54-year-olds at both 5 and 6 p.m. Fox4 and TEGNA8 tied for the total viewers lead at 5 p.m., with TEGNA8 winning outright at 6 p.m.
Thursday -- Showing some renewed signs of life, TEGNA8 swept both the 10 p.m. and 6 p.m. competitions. That hasn’t happened in quite a while. Fox4 ran the table at 6 a.m. and NBC5 had twin wins at 5 p.m. The heavily promoted premiere of Fox’s The Passage opened big Monday, ranking as the night’s No. 1 attraction in D-FW among advertiser-prized 18-to-49-year-olds while running second in total viewers to NBC’s America’s Got Talent: The Champions. The sci-fi series’ 81,518 viewers in the 18-to-49 age range tripled the lead-in from Fox’s 7 p.m. The Resident (27,173 viewers) while also holding off formidable competition from the second hours of AGT: The Champions (69,442) and ABC’s The Bachelor (51,326). CBS’ 8 p.m. offering, the Magnum, P.I. reboot, ran a distant last among the Big Four broadcast networks with just 18,115 viewers in this key demographic. The full two hours of AGT: The Champions drew the most total viewers (274,143), with The Passage finishing second from 8 to 9 p.m. with 203,850. CBS’ Bull comfortably won the 9 p.m. hour in total viewers (253,055), with Fox4’s competing local newscast running No. 1 among 18-to-49ers (57,365). CBS11 won at 10 p.m. in total viewers for the third straight weekday while Fox4 again topped the 25-to-54-year-old Nielsens (main advertiser target audience for news programming). Fox4 swept the 6 a.m. competitions, again by wide margins. At 6 p.m., CBS11 drew the most total viewers and Fox4 had the edge with 25-to-54-year-olds. NBC5 ran first in total viewers at 5 p.m. and shared the 25-to-54 lead with Fox4. LOCAL TV NEWS NOTE: As tweeted early this morning on @unclebarkycom, Fox4 has named veteran reporter Brandon Todd to be the permanent co-anchor of the station’s 4 to 6 a.m. portions of weekday Good Day. He joins incumbent Hanna Battah after earlier filling in on- and off-. Todd will stick around to report from 6 to 10 a.m., when anchors Tim Ryan and Lauren Przybyl take over. 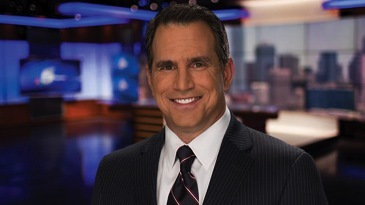 Todd joined Fox4 in November of 1998 from WFTX-TV in Fort Myers, FL. He’s a Bachelor of Arts graduate of Ball State University. The Dallas Cowboys again fell short of the NFC’s championship game with Saturday night’s 30-22 road loss to the Los Angeles Rams on Fox. Although the game of course dominated everything else in sight, it came up shy of the two million mark with an average of 1,827,618 D-FW viewers. Among advertiser-coveted 18-to-49-year-olds, Cowboys-Rams weighed in at 748,762 viewers. Two years ago, which marked the last time Dallas made the postseason, a crushing 34-31 loss to the visiting Green Bay Packers drew 2,254,041 total viewers and 891,576 in the 18-to-49 age range. Earlier Saturday, NBC’s Kansas City Chiefs-Indianapolis Colts matchup had 955,985 total viewers, with 350,227 in the 18-to-49 realm. Sunday’s pair of NFL playoff attractions was led by Fox’s New Orleans Saints-Philadelphia Eagles game, which pulled in 1,019,249 total viewers and 344,189 in the 18-to-49 demographic. CBS’ afternoon attraction, in which the New England Patriots demolished the Los Angeles Chargers, averaged 646,696 total viewers and 217,382 in the 18-to-49 age range to easily rank as the least-watched of this quartet. Friday’s prime-time Nielsens again were paced by CBS’ Blue Bloods in total viewers (302,260) while Fox’s Last Man Standing logged the most 18-to-49ers (60,384). On Thursday night, CBS’ 7 p.m. episode of The Big Bang Theory ranked No. 1 in both total viewers (358,494) and with 18-to-49-year-olds (81,518). Although it fell off considerably, CBS’ 8:30 p.m. premiere of the sitcom Fam won its half-hour time slot with 161,674 total viewers and 48,307 in the 18-to-49 motherlode. Finally, here are the local news derby results for Thursday and Friday. Thursday -- CBS11 drew the most total viewers at 10 p.m. while Fox4 was tops with 25-to-54-year-olds (main advertiser target audience for news programming). Fox4 also swept both the 6 a.m. and 5 p.m. competitions and added a 5 p.m. win among 25-to-54-year-olds. TEGNA8 drew the most total viewers at 6 p.m. in a tight four-way battle. Friday -- CBS11 again ranked first in total viewers at 10 p.m., with Fox4 repeating its win with 25-to-54-year-olds. Fox4 as usual/always ran the table at 6 a.m. while NBC5 enjoyed the early evening with sweeps at both 5 and 6 p.m.
Local Nielsen ratings snapshot (Tues.-Wed., Jan. 8-9) -- who was that Masked Singer? Fox’s The Masked Singer may be TV’s latest equivalent of a full-blown traffic wreck, but you know the deal on those. People like to watch. Episode 2 again commanded its 8 p.m. slot, winning in total D-FW viewers (217,908) and also among advertiser-coveted 18-to-49-year-olds (87,557). The 18-to-49 haul ranked as Wednesday’s biggest, but Fox4’s 9 p.m. local newscast led all programming in total viewers with 238,996. For the record, the second unmasked performer was a considerable mark down from the first. It was Tommy Chong after the Pittsburgh Steelers’ star receiver and latest malcontent, Antonio Brown, gave the show a surprise A-lister for the premiere episode. ABC’s 7:30 p.m. premiere of Schooled, a spinoff of the preceding The Goldbergs, ran fourth during that half-hour slot in total viewers (84,352) while tying for third with CBS’ Young Sheldon repeat among 18-to-49ers with 27,173. Even so, it still ranked second in both measurements, behind only Modern Family, among all of struggling ABC’s prime-time attractions. On Tuesday night, CBS’ 7 p.m. episode of NCIS ranked No. 1 in total viewers with 414,729. NBC’s competing Ellen’s Game of Games topped the 18-to-49-year-old heap with 66,422 viewers. Fueled by the NCIS lead-in, President Trump’s border wall pitch, which fit within the 8 to 8:15 p.m. slot, easily drew its biggest audience on CBS with 337,406 total viewers. Fox News Channel led the three cable news nets with 196,820 viewers. The Nancy Pelosi-Chuck Schumer response, which ended just before 8:20 p.m. is hard to gauge because ABC and the Fox broadcasting arm then cut immediately to entertainment programming for the rest of the 15-minute segment. CBS, the only broadcast network to devote the full half-hour to news coverage, ranked No. 1 among all entities with 295,231 total viewers. Tuesday -- Network entertainment programming runovers on ABC and Fox made it a two-way race at 10 p.m. CBS11 won in total viewers and Fox4 was No. 1 among 25-to-54-year-olds (main advertiser target audience for news programming). Fox4 again swept the 6 a.m. competitions and NBC5 had twin wins at 5 p.m. The 6 p.m. firsts went to CBS11 in total viewers and Fox4 with 25-to-54-year-olds. Wednesday -- Fox4 fell just short of a very rare double grand slam, winning everything except the 6 p.m. race in the total viewers measurement. That one went to NBC5. The latest college football championship game ended up being nowhere near as competitive as last year’s overtime thriller. But maybe a good number of viewers enjoyed seeing perennial top dog Alabama getting spanked hard in a result that no one saw coming. Clemson’s 44-16 rout of the Crimson Tide, which ran until 10:44 p.m. on ESPN, averaged 667,784 total D-FW viewers and 295,882 in the advertiser-prized 18-to-49-year-old demographic. The number of total viewers Monday night fell a bit from the 2018 haul of 712,210 for Bama’s comeback 26-23 overtime win over Georgia. But this was offset by the smaller crowd of 18-to-49ers (283,957) for that game. Clemson’s pulsating 2017 win over Alabama -- 35-31 in the final second of play -- drew fewer eyeballs in both key ratings measurements. It averaged 647,128 total viewers and 259,775 within the 18-to-49 realm. Elsewhere Monday night, NBC’s two-hour launch of America’s Got Talent: The Champions ranked as the runner-up attraction in total viewers with 246,026. But ABC’s three-hour season premiere of The Bachelor took the silver with 18-to-49-year-olds, edging AGT by a score of 66,422 to 63,403. CBS11 ran first at 10 p.m. in total viewers while Fox4 was tops with 25-to-54-year-olds (main advertiser target audience for news programming). Fox4 also swept the 6 a.m. races and added 5 and 6 p.m. wins among 25-to-54-year-olds. NBC5 had the most total viewers at 5 p.m. and TEGNA8 won in that measurement at 6 p.m. 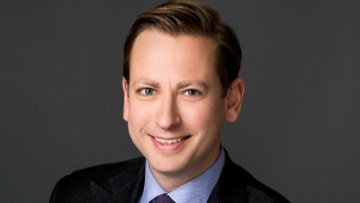 In search of new challenges, reporter Todd Unger of TEGNA8 has decided to leave the Dallas-based station after six years of very capably pounding the pavement. He made the announcement Monday on his Facebook page. He arrived at TEGNA8 in January 2013 from Albuquerque’s KOAT-TV after an earlier stint at KPTM-TV in Omaha, Nebraska. TEGNA8 anchor Cynthia Izaguirre and reporter Lauren Zakalik likewise joined TEGNA8 from KOAT. It’s been a long holiday season sojourn, and we’re not going to recap all the ratings highlights from the past several weeks. But we will keep all of the Dallas Cowboys’ numbers in play, including that big Jan. 5th playoff win over Seattle and the numbers for the closing regular season games against Tampa Bay and the New York Giants. All three games were on Fox, which also will have the Saturday night, Jan. 12th matchup between Dallas and the Los Angeles Rams. Locally, the sales department staffers at Fox4 are turning cartwheels. Not surprisingly, Saturday night’s 24-22 win over the Seahawks drew the biggest overall crowd of the season. Running from 7:15 to 10:26 p.m., Cowboys-Seahawks averaged 1,743,266 total D-FW viewers and 621,955 within the advertiser-prized 18-to-49 age range. The Cowboys weren’t in the playoffs last season. Two years ago, they had a first-round bye before a Jan. 15th matchup against the visiting Green Bay Packers. The Pack won 34-31 at the buzzer on a 51-yard field goal by Mason Crosby. That game drew 2,254,041 total viewers and 891,576 within the 18-to-49-year-old realm. Will this Saturday’s Cowboys-Rams game approach those numbers? It at least should hit the 2 million mark, barring a blowout. But the ratings for Cowboys-Packers will be tough to beat. Back on Dec. 23rd, the Cowboys’ noon-starting NFC East division championship clincher against the Tampa Bay Buccaneers drew a comparatively lowly 977,073 total viewers, with just 295,882 in the 18-to-49-year-old demographic. On Dec. 30th, the Cowboys’ “meaningless” but exciting 36-35 win against the hosting New York Giants perked up to 1,040,336 total viewers, with 347,208 of the 18-to-49 persuasion. Let’s get back to the near past. Sunday’s crazy-ending Wild Card game between the Philadelphia Eagles and Chicago Bears easily ranked as the day’s top attraction with 1,005,190 total viewers for NBC’s mid-afternoon/early evening telecast. CBS’ earlier Los Angeles Chargers-Baltimore Ravens playoff matchup pulled in 611,549 viewers on CBS. NBC’s Golden Globes presentation, which ran long and well past 10 p.m. then dominated the 7 to 10 p.m. prime-time Nielsens with 435,817 total viewers and 150,960 in the 18-to-49er demographic. Finally, here are the Friday, Jan. 4th local news derby results. Fox4 likewise swept the 6 a.m. competitions. At 6 p.m., CBS11 had the most total viewers and NBC5 ran first with 25-to-54-year-olds. The 5 p.m. golds went to TEGNA8 in total viewers and the Peacock among 25-to-54-year-olds. Veteran anchor Marc Fein, who joined Fort Worth-based NBC5 in 2011 and has been co-anchoring the station’s weekday early morning newscasts, will be leaving the station shortly. Fein confirmed through sources that his contract is not being renewed. He arrived at NBC5 from Turner Sports and initially co-anchored the 5 and 6 p.m. weekday newscasts before being moved to mornings in January 2014 alongside longtime incumbent Deborah Ferguson. Fein replaced Mark Hayes, who was let go after less than two years opposite Ferguson. Fein, 51, had a gainful career in sports broadcasting before joining NBC5. He has hosted the NBA network’s NBA Gametime Live, NASCAR on TNT and TBS’ presentations of college football and baseball games. Before arriving at Turner Sports, Fein was a sports anchor-reporter for D-FW’s Fox4 and also hosted pre-game shows for the Texas Rangers and Dallas Stars. He’s a 1991 graduate of the University of Miami, with a bachelor’s degree in communications. NBC5 lately has had serious ratings problems in the early mornings, particular during the most-watched 6 a.m. hour. In the November “sweeps,” the station ran third in total viewers and last among 25-to-54-year-olds (the main advertiser target audience for news programming). The year-to-year shortfalls respectively were 20,703 and 25,065 viewers, easily the largest in competition with Fox4, TEGNA8 and CBS11. Fein was at his regular 6 a.m. post on Wednesday, Jan. 2nd. His departure date could not immediately be determined. 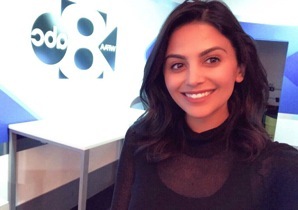 Dallas-based TEGNA8 has filled Daybreak’s social media anchor vacancy by hiring Kezhal Dashti from El Paso’s Fox station, KFOX-TV. She started work in December and replaces Janelle Brandom, who left the early morning program in March of last year to pursue other interests. During her formative years, the TCU journalism graduate interned at Fort Worth-based NBC5 and with KISS-FM’s Kidd Kraddick in the Morning. She also spent three months at The Dallas Morning News before joining KFOX in March 2015.